On Monday this week, Barbara Anslow gave a talk at the annual dinner of the Hong Kong Society in London. It was a fully booked event. 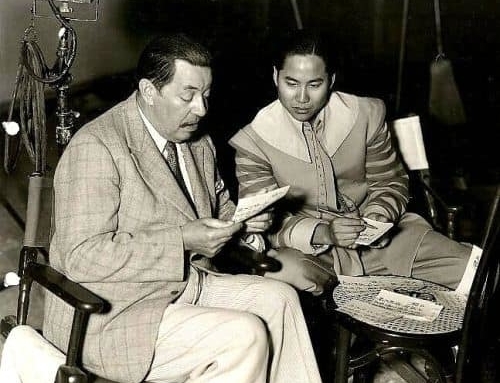 In the photo above, she is signing copies of her book Tin Hats and Rice, which is the story of her time as a prisoner of war in Hong Kong from 1941 to 1945. 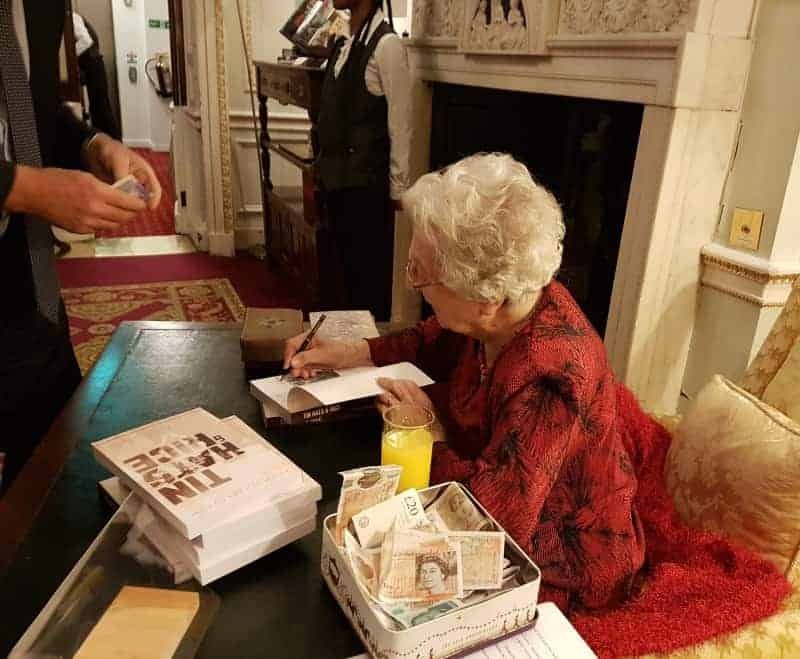 “The night was really amazing – absolutely packed, and all enthralled and rather awed by Barbara,” says Patricia O’Sullivan who was attending. Thanks to Patricia and Maureen Rossi for these pictures. The venue was the rather grand Oriental Club in Marylebone. All the books brought to the club sold out, but luckily we have just reprinted so copies are on their way to those who ordered more. It’s quite unusual for us for a first print run to sell out in just three months — especially as it hasn’t gone on sale in the US or Canada yet — but Barbara’s story seems to have caught a lot of attention in Hong Kong and the UK, and her interviews on BBC radio and in the Daily Mail, South China Morning Post and Ming Pao among others have really helped create demand for her book. Tomorrow, on December 1st, Barbara will turn 100. Please join us all in wishing her a happy birthday! Dear Barbara, Wishing you a wonderful birthday and congratulations on this milestone. I live in Japan and am enjoying your book. 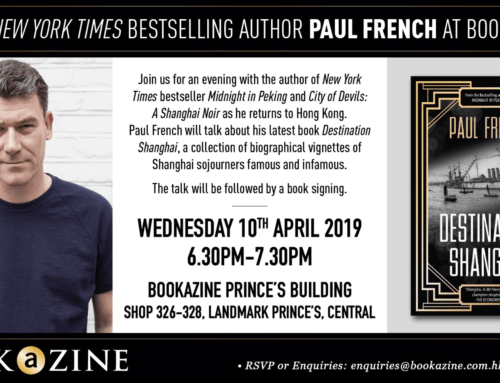 I will be in Hong Kong next week and names that were familiar to me have now taken on new meaning because of your book. Thank you so very much for sharing your story with us. May your days be filled with health and happiness. A very happy 100th birthday, Barbara. I’ve read many of your diary entries through Gweilo and so enjoyed them, particularly when I recognized a few names. What a wonderful life you’ve had and thank you so much for sharing your experiences. I look forward to getting my copy once it’s available in the US. Good wishes for the future.